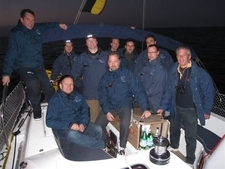 TeamSailing has been developed in 2009 by Group-IPS as a complement to its Training and Expertise activities organized in the IPS Technological Centre in Germany and the IPS Competence Centre in Belgium. IPS TeamSailor, full daughter of Group-IPS operates its own two performance sailing yachts in order to guarantee the highest standards of comfort and safety. The IPS TeamSailor yachts are fully equiped to provide an optimal working environment to the workshops and the teamwork. Teamworking provides massive benefits for any organization. TeamSailing – more than any other workshop or training – boosts the team as well as the individual performance. It is a learning experience where training in methodologies and working as a team are combined at best.